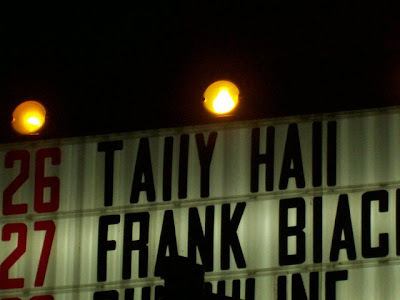 Tally Hall is my sister's and my favorite band, so you can imagine how surprised we were when we arrived at a venue and found that we would be seeing "TAIIY HAII" instead! Poor "FRANK BIACK" also lost his "L"; you can barely make out that the next band listed, "PUNCHLINE", were the lucky ones to receive the venue's apparently only upper-case "L". 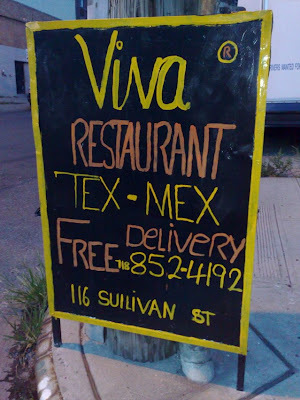 I’ve been an avid reader of your blog for about 6 months, and I’ve been on the lookout for lower-case l signs everywhere. I finally found one! Recently, my brother and I were stopped at a light, when I looked over and found this sign saying “ClEAN CLAY ACCEPTED.” We both took cell phone pics- sorry it’s so small- this is the best my phone can do. This sign is a fascinating example of the lowercase l phenomenon- the l in “ClEAN” is lowercase while the “L” in “CLAY” is capital. This is especially confusing because clean is the first word (the “fitting words into space” theory doesn’t hold- when you’re writing the first word, you always assume more space, or at least I do). 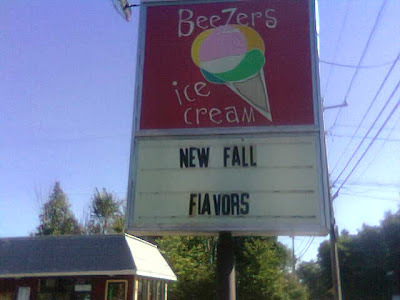 The second and more bizarre reason that this sign is an interesting case is that both words begin with the “C-L” consonant blend. Why would you write “C-l” for the first word, and “C-L” for the second? It doesn’t seem to add up. Finally, this sign is fascinating because of its confusing message- “oh good… they accept clean clay! I don’t want anyone that accepts dirty clay.” And what are they accepting clay for? Is this a roadside pottery class? 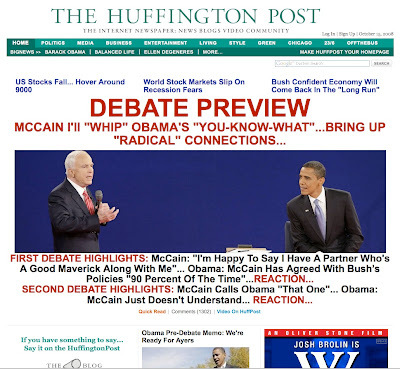 I'm glad the photo is so small. This way, the problem doesn't seem so big. The coffee shop I usually go to in Williamsburg, Brooklyn has been closing early during the days after Christmas, so it is a small miracle that I stumbled into The Rabbit Hole, a French inspired café just down the street, where I found this superb example of improperly used lowercase L's. 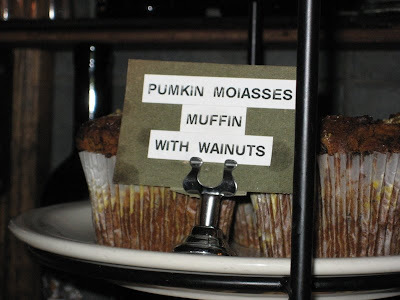 The PUMKIN MOlASSES MUFFIN WITH WAlNUTS looks like a tasty treat, but I've been turned off to this savory snack because it reads like "Moi Asses", which could imply the muffins came from some French baker's derrière. And what if I had an allergy to walnuts and ended up in the hospital because I was misled by the unfamiliar non-allergenic "wainuts"? I asked the barista about the sign, and he could only explain away the misspelled PUMPKIN, blaming it on the poor English of the Frenchman who might have printed the labels with the P-Touch. 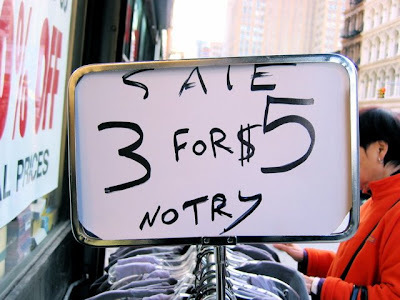 But I see this as a second-hand error, a literal interpretation in mechanical print that resulted from a horribly handwritten list, where the L's looked like uppercase i's. But why have the staff never bothered to correct these embarrassing blunders? Appropriately found by Holly in Roseburg, Oregon, this handwritten ad for DOUGlAS firs is the perfect gift for lowercase L watchers on Christmas Day. 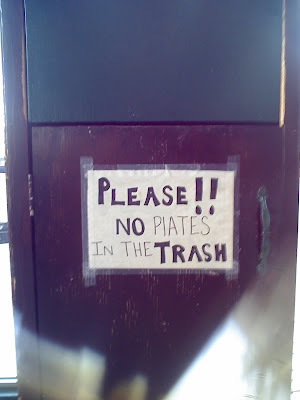 When I spotted this sign on the menu board in front of the Greek diner on 7th Avenue here in Park Slope, Brooklyn, I was fixated on the PlATES theme, coming off a NO PlATES high and onto SAlAD PlATES this week. And the fact that the lowercase L's sport an unusually low profile, ducking below the A's apex in SAlAD, makes the situation even more confusing. But it wasn't until writing this post that the real hidden danger of this Trojan horse was revealed: the elusive BlT in CHICKEN BlT ClUB and TURKeY BlT WRAP. 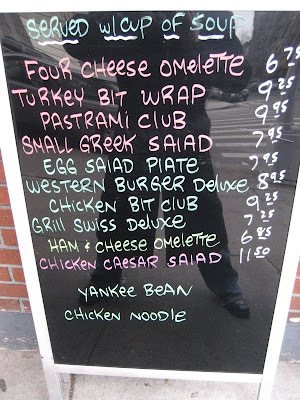 Look closely, that's actually a BLT, short for Bacon, Lettuce, and Tomato, but I reasonably thought this Greek diner was offering me a chicken bit club sandwich. I mean, they have bacon bits, and chickens have giblets and nuggets and other frying bits, so I didn't think twice about it. It's all Greek to me, really. And the NOODle is an example of the cascading lowercase L, where people tend to lower the case all the letters following the lowercase L after all uppercase letters. 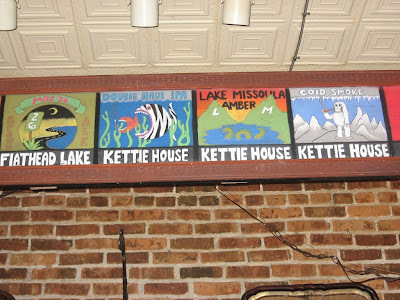 With so many lowercase L inconsistencies on this menu board, the author clearly bit off more than he could chew. 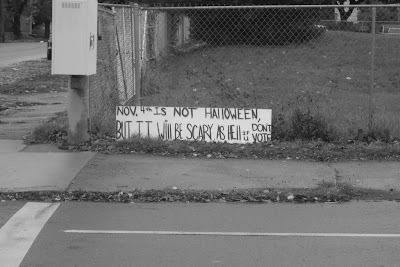 Yes, indeed, November 4th was not HAllOWEEN, a celebration which actually took place four days earlier. I'm guessing the author got scared and panicked upon realizing there would be no space to write his message, hence the space-saving lowercase L's next to a dotted uppercase i in WIll, u for YOU, and miniaturizing and stacking words at the end of the sentence. I can't help but agree with this sign that Ash found ... our future WIll BE SCARY AS HEll if we, as a people, do not change. And by change, I mean properly change case from lower to upper when using L and i. This has nothing to do with lowercase L — it's a cartoon I made to remind people to vote tomorrow on Election Day. If you live here in the United States, PlEASE VOTE! I snapped this photo in the storage closet of one of my clients. 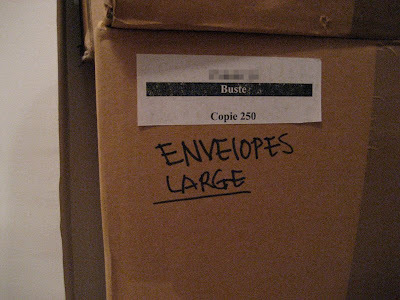 Whoever wrote this was not unfamiliar with LARGE L's, but oddly chose not to stuff one into ENVElOPES. 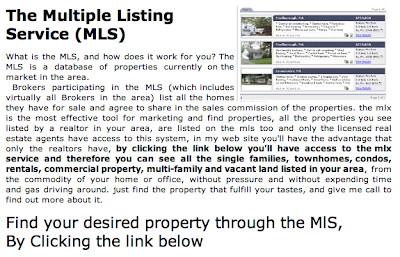 My brother-in-law Todd got in on the lowercase L action when he found this MlS-leading Multiple Listing Service website. Webmaster Alex Zapata got it right in the first MLS heading, and all the other MLS mentions throughout. 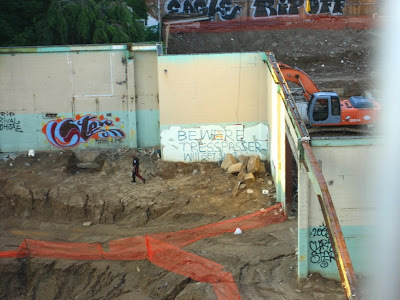 But the L in the final "Find your desired property through the MlS" is just bad placement, and we all know the three most important things in real estate, right? lOCATION, lOCATION, and lOCATION. The Joshmeister found this lowercase L in Southern California. 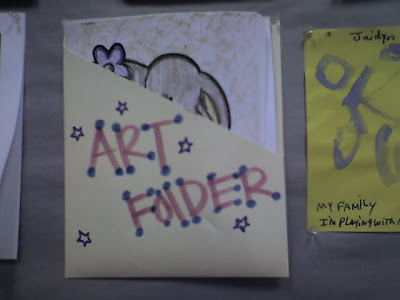 The celestial misalignment of stars that formed this art constellation seems to be the cause of the improperly used lowercase L on the ART FOlDER. BOOM! 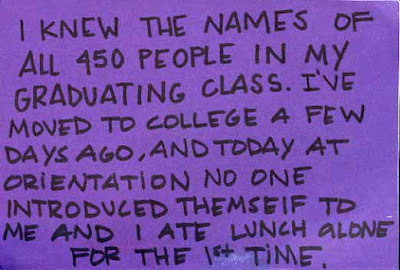 You just hit a kid crossing the street because you were confused by the lowercase L.
Two lowercase L readers, David and Daniel, each submitted this same find on PostSecret. 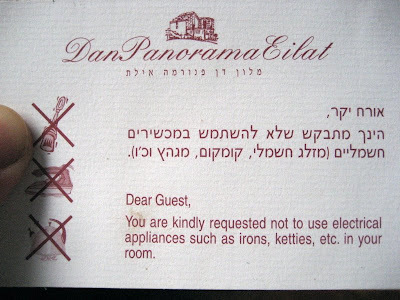 I think this is a classic case of letter crunching, because the postcard author clearly knew his uppercase L's, but must have panicked when he got near the edge with THEMSElF. Or maybe because "themself" isn't actually a word in modern English. Harlem was once considered a dangerous neighborhood because of high crime rates and poverty. 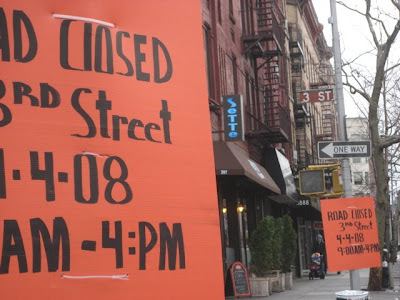 But lowercase L reader PES points out that, while times are changing, despite a renaissance of art and culture, Harlem is still a place to be feared, just for much different reasons. WElCOME TO HARlEM. PHOENIX - When it comes to marking up historic signs, good grammar is a bad defense. 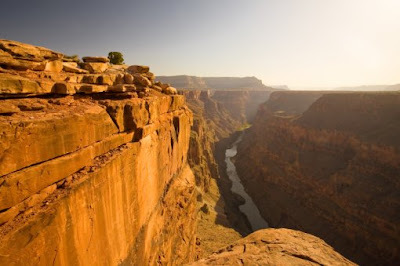 Two self-styled vigilantes against typos who defaced a more than 60-year-old, hand-painted sign at Grand Canyon National Park were sentenced to probation and banned from national parks for a year. 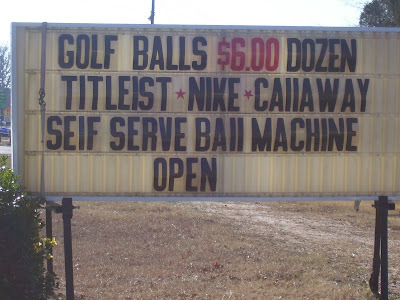 They had removed an extraneous apostrophe and added a comma to the sign. 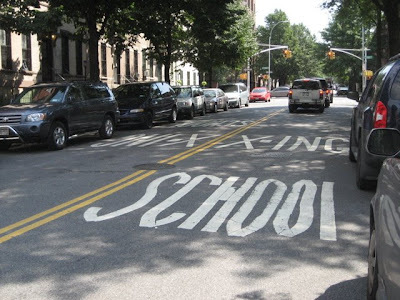 I've been riding over the Williamsburg Bridge in Brooklyn a lot, and am shocked at the number of awkward lowercase L's I've seen along the way. I spotted this one on the Brooklyn side of the bridge, and wondered about the sole unfortunate trespasser who WIll BE SHOT. Is the fellow in the picture the enforcer of this brazen street justice? Or is this actually a subversive ad for the next generation of Nintendo Wii? Either way, I recommend following the advice on the wall, and BEWARE. 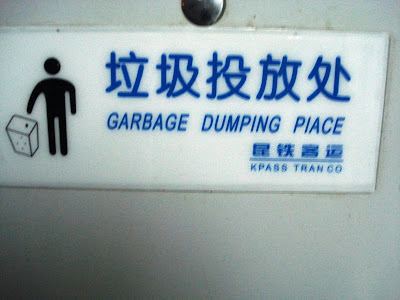 Just in time for the 2008 Summer Olympics, Jessica J found this GARBAGE DUMPING PlACE on a train in China. 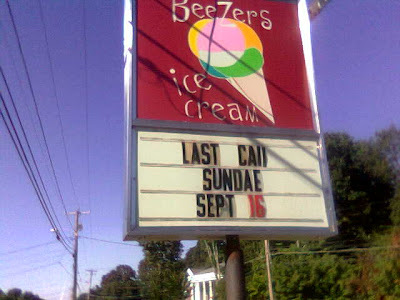 This one is particularly interesting because the sign looks like it was printed using a computer type font, so the printer must have consciously chosen to use a lowercase L instead of keeping the caps lock on for the entire word. It's also worth noting that English was probably not the native written script language of the author, so the distinction between uppercase and lowercase letters might be an unfamiliar concept to him. 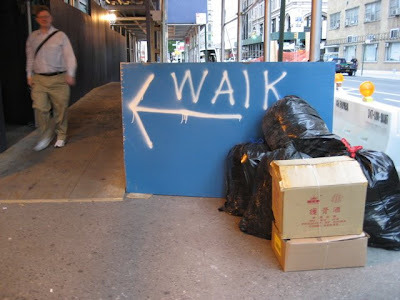 Anyway, they certainly put this sign in the correct PlACE. 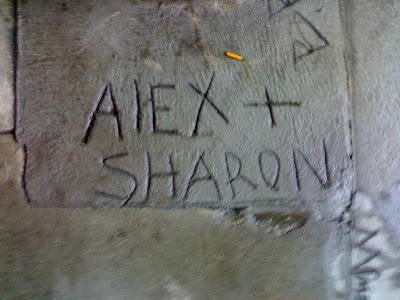 I found this interesting bit of graffiti in Williamsburg, Brooklyn, while walking with my friend Jesse. 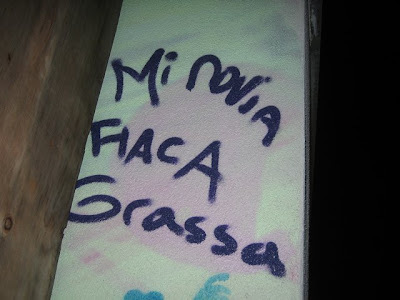 She explained that the words "Min novia FlACA Grassa" roughly translates to "My girlfriend, fat skinny lady". Coincidentally, Jesse's documentary films are all about female body image. Too bad the novia to whom this message was written might not catch the somewhat complimentary FlACA part. In fact, maybe this isn't a lowercase L at all, and it really is fiaca, which seems to be slang for laziness or apathy in Argentina. That would be doubly insulting. 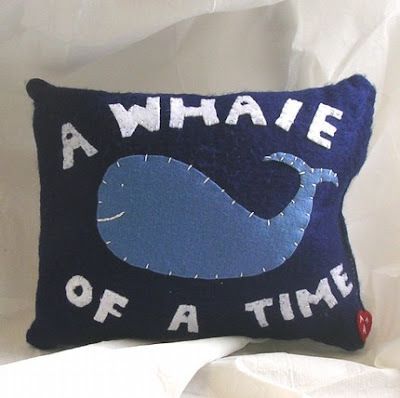 Lauryn found this WHAlE OF A TIME pillow, designed by Ms. Amy on Etsy.com and confessed it took all the willpower that she has to not purchase it, just because of the improperly used lowercase L. I agree with Lauryn, this is one pillow I'd actually lose sleep over. Wendy W. found this supreme celebrity example of lowercase L lunacy — and apostrophe abuse — on the People.com. It almost looks as if Renée Zellweger is pointing directly at the L in GEORGE ClOONEY, as if she is mocking the fan who wrote the sign. This one ROCK'S! Thanks for doing this blog. I was delighted to find it because this enigma has perplexed me for years. I mean, what's so hard about case consistency, especially with the "L"? I like to muse about what some of these people would do with words like "willing", and "hillbillies". 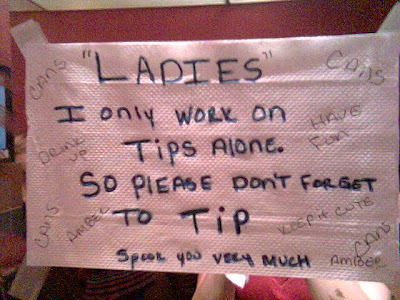 I see the phenomenon a lot in the grafitti of my co-workers, but I think I'll stick to signs like this one. 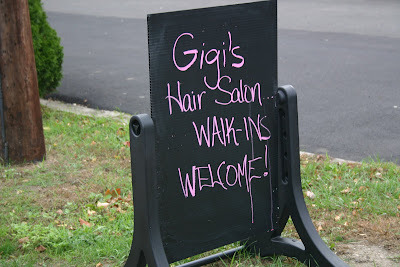 It was on the Boston Post Road in Old Saybrook, CT. The other side was correct, but was clearly written by somebody else. 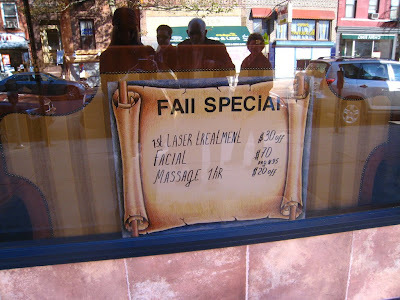 Thanks, Jeff, and WAlK-INS like this one are certainly welcome. 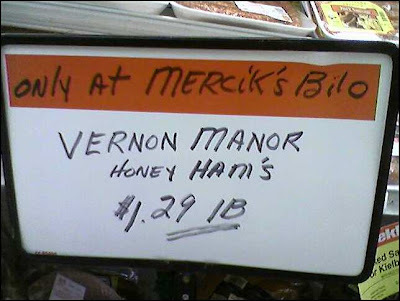 I found this sign at a convenience store a few weeks ago when I went home to visit my family in Vineland, New Jersey. 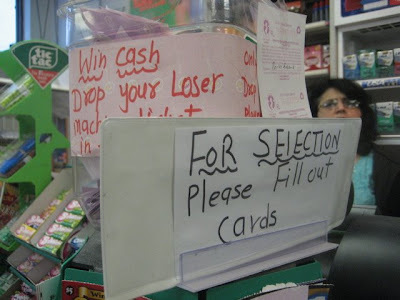 It was in Vineland that I first started noticing the lowercase L phenomenon as a child, so it was no surprise to find this highly unnatural SElECTION as I purchased my Mega Millions lottery tickets. I'm surprised I didn't win the lottery that night ... after finding that lowercase L gem, I was feeling lucky. Mike found these stunning examples of lowercase L "Engrish" translation in a Shanghai supermarket. 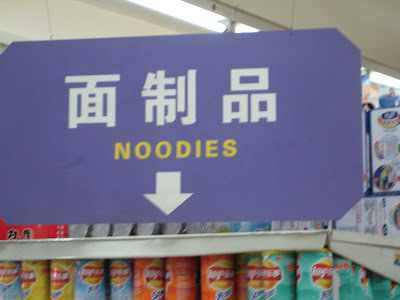 You might say the person who constructed this sign wasn't using his noodle when he spelled out NOODlES, but at least he has the excuse of English as a second language. 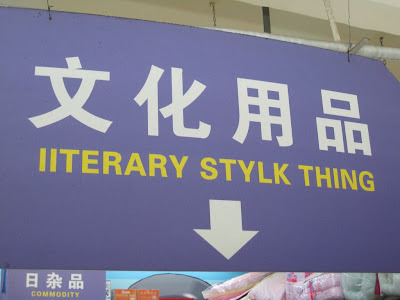 I guess he was no literary genius, either, judging by this remarkably vague sign leading us to the lITERARY STYLK THING. Local Brooklynite Bethany B. found this one a few months ago on Court Street in Cobble Hill, Brooklyn. 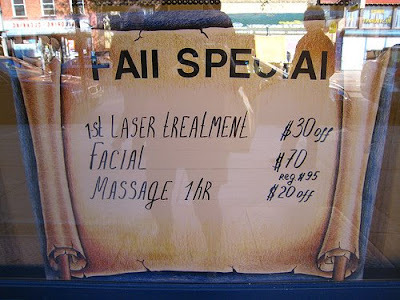 I believe this FAll SPECIAl could mark the fall of civilization. I like this alternate photo below — if you click enlarge, you can see the reflection of stunned bystanders all gathering around to witness the atrocity. 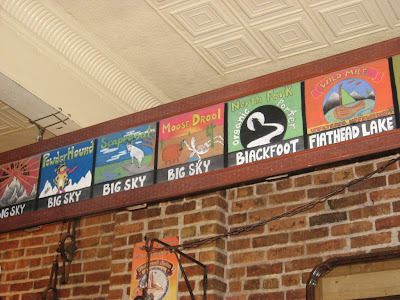 Over the years, we've seen a variety of lowercase L mishaps — mostly handwritten, some minor typographical lowercase L errors, and even a few doozies with more permanent ramifications. 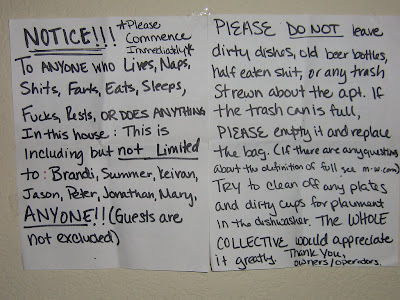 But this one, discovered by fellow Blogger Christian, is about as permanent and humiliating as you can get when it comes to poor lowercase L judgement. Photographed above is a memorial to physicist Harry K. Daghlian, Jr., a physicist whose bad luck apparently didn't end when, in 1945, he became the first person killed in a critical mass experiment while developing atomic bombs at the government's secret lab in Los Alamos, N.M. In what might be the worst case of lowercase L abuse to date, Daghlian's native New London, Connecticut memorialized him with this monument, HARRY K. DAGHlIAN JR, boldly chiseled in stone. Thankfully this is a memorial and not his actual gravestone. Otherwise I have a feeling Harry would be turning over. 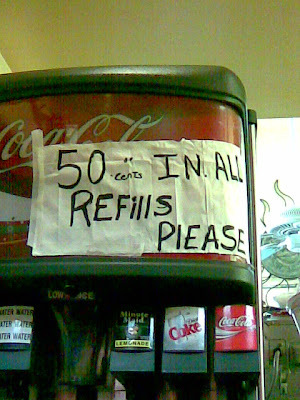 Update 3/5/08: I've tried coming up with a logical explanation for this incredible example of lowercase L misuse. The most likely scenario I can think of is that the engraver was given a handwritten note on paper, with Daghlian's name already bastardized as DAGHlIAN. The engraver probably just chiseled away at the marble accordingly, figuring the author of the epitaph knew better than he. I can just imagine the conversation after the stone memorial was delivered. "Who is Daghiian? You need to change it to DAGHLIAN!" "Sorry, that's what you wrote on the form. There's no way to squeeze in the uppercase L now. We'd need to carve an entirely new piece. It'll cost ya'". "We don't have the budget to buy another! I guess this one will have to do. People will know it's an L, right?" "Sure, whatever helps you sleep at night, mister."